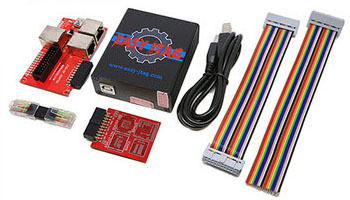 Easy JTAG Box.....Order Sekarang !!! JTAG , eMMC, NAND Memory Programmer and JTAG finder in one box. Apple PPN NAND Memory Advanced functionality. eMMC Android file explorer with wide functionality. Full range of eMMC reconfiguration up to JEDEC 5.1 Specs. Wide range of other hardware platforms like ZTE HUAWEI AMOI and others.